Tunnels: The perfect conduit for terror: the US media pours out propaganda against the Palestinians as fast as against Putin as we plunge towards WWIII. The Palestinians were invaded, during the last 100 years, by European Jews. These people intended from day one to displace the natives and steal everything because their ‘god’ told them so. Since ancient times. 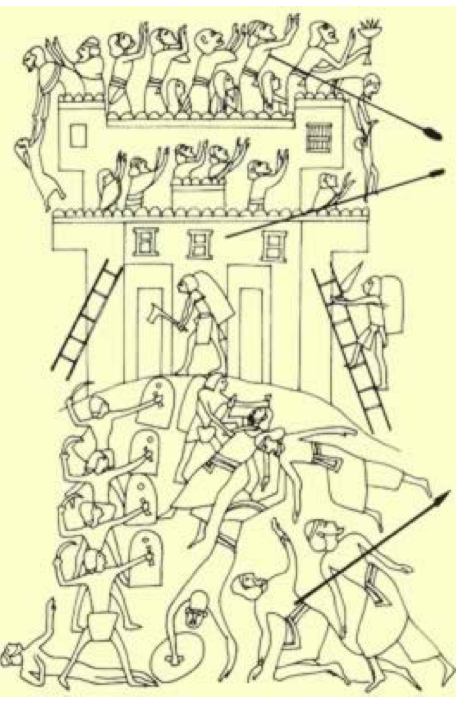 The above picture is from ancient Egypt showing the revolt against the Hyksos invaders who are evidently the ancestors of the ‘Jewish’ tribes. Note this is a SIEGE. People trapped in a city or area are allowed to fight their besiegers and Gaza has been besieged ever since Hamas won a fair election.